"Serving Others Through Grace and Innovation"
At STI Tools we are striving to empower homeowners to do their own lawn sprinkler maitenance without the need to dig. We are a small business located in Amarillo, Texas, working daily to educate people about what we offer, we know that when homeowners own our tool, their sprinkler repair will be much easier and faster. We also believe that our customers come first and we show that in our customer service, feel free to call us or email us any time. The SRT Sprinkler Removal Tool is a revolutionary invention that is changing the way we see lawn sprinkler maintenance. It was invented by James Sanders and his brother, the two of them saw a need for a better way to do sprinkler maintenance. After looking at the problem, they knew that they could make a difference by making a sprinkler removal tool. This tool would allow homeowners to change their heads without the work of digging and without leaving brown rings in their lawn afterwards. Next they set out to invent something that the world had never seen. They started with a few different prototypes and eventually came up with what we know today as The SRT. The SRT is such an innovation that James, who is a parapelgic in a wheelchair, can change his own lawn sprinkler heads. This is something that he could have never imagined doing before inventing The SRT. We manufacture two sizes of Sprinkler Removal Tools, a.k.a. The SRT, the 1000 model which works on sprinkler heads from 1-3/4" to 2-1/4" across and the 2000 model which works on sprinkler heads from 2-1/2" to 2-3/4" across. The SRT-1000 works on nearly all pop-up style residential sprinkler heads. The SRT-2000 works on nearly all rotor type residential and commercial sprinkler heads. This makes our tools nearly universal only excluding a few of the smallest sprinkler heads and the sprinkler heads that are impossible to remove from the ground without digging because they can be fed by a side inlet instead of the bottom inlet that is required to unscrew the head out of the ground. One of our tools can suit almost all of your lawn sprinkler repair needs for your home or business. With the SRT lawn sprinkler repair takes only a fraction of the time that it did before, changing a lawn sprinkler head used to be around a half hour long job. By the time you get the shovel out and dig down deep enough, while getting covered in mud, changing the head and finally spending precious time to fill the hole back in that you finished digging only a few minutes before. The SRT will save you this huge headache, now lawn sprinkler repair only takes minutes to completely change a sprinkler head with no shovel needed. Are you having to raise sunken sprinkler heads up and don’t want to spend all day or spend a lot of money on a landscaping company? A landscaping company on average charge around 60 dollars to change 1 sprinkler head, for that same money you can purchase an SRT and change out several sprinkler heads for the same money. After you change the other sprinkler heads you have saved up to $300 dollars on repair bills and your yard still looks great. Also say for example: You have St. Augustine grass, you can’t just dig around this grass like most contractors or landscapers do, this will damage the grass. Can you imagine for instance, lets say you have 20-30 sunken sprinkler heads at your home or business that need to be raised. Can you imagine how terrible your lawn will look after a landscaping company raises every one of these sprinkler heads using a shovel. Consider the repair bill you will receive after all of this work is done. All of this points to only one answer use the SRT to drastically reduce your time and money spent, and for a bonus your yard will always look green and well maintained while using your very own SRT. The SRT is 100% made in the U.S.A., from our raw materials to our manufacturing equipment. We take great pride in keeping our industry and consumer money here locally. The SRT design has been patented and we are working on securing more patents for our products. We are striving to make every homeowners life a little bit easier. STI Tools takes great pride in bringing you a quality product, because as any handyman will tell you "you need the right tool for the job". This tool and its inventors have been featured in many articles take a look at a few of them below to learn even more about the inventors of the revolutionary Sprinkler Removal and Repair Tool. Copyright 2018, STI Tools Inc. 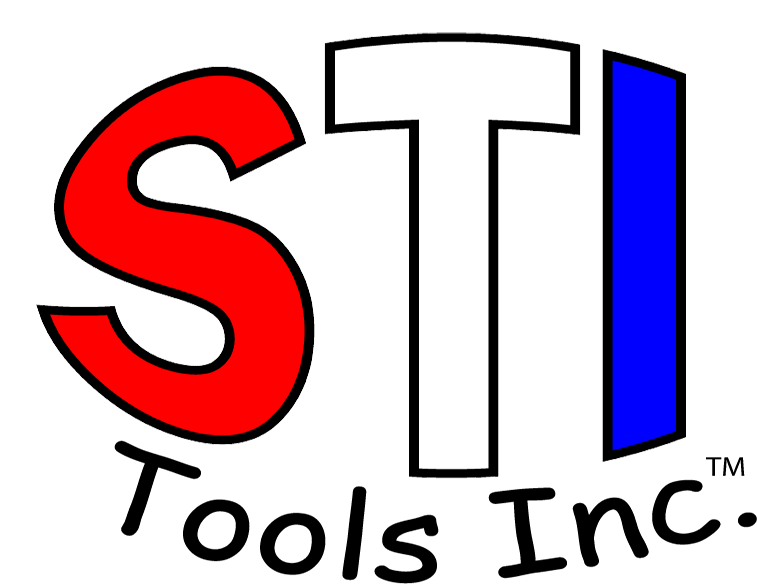 This domain and website is an unregistered Trademark of STI Tools Inc. and all products associated.